While not scientifically proven, we believe enjoying Royal Caribbean photos at the beginning of a weekend leads to an awesome weekend. 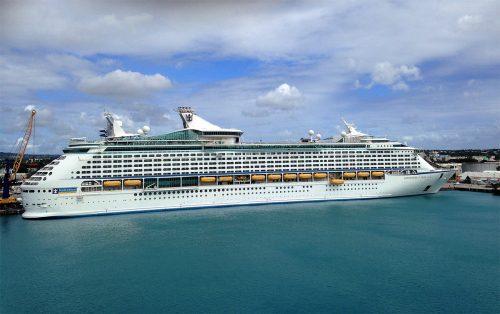 With that in mind, we present this week's batch of Royal Caribbean photos that our readers shared with us. This week's Friday Photos edition will be slightly different because the web browser crashed as we were writing up this week's post, and while we have copies of all the photos, we lost the names associated with them. We always want to properly attribute photos here, so if your photo was used, please post in the comments and the post will be updated. Our first photo shows the sun setting behind Harmony of the Seas, as seen from the helipad of Independence of the Seas. 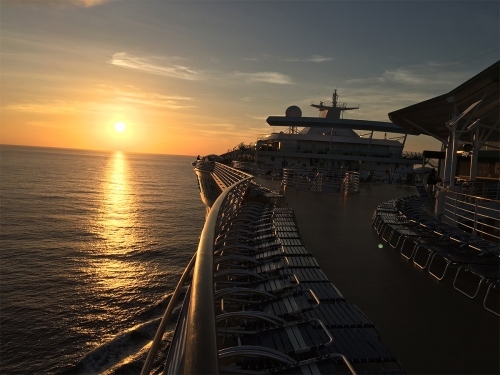 Another stunning sunset at sea. Next is a photo of Allure of the Seas docked in Labadee, after a day filled with plenty of good times all around. 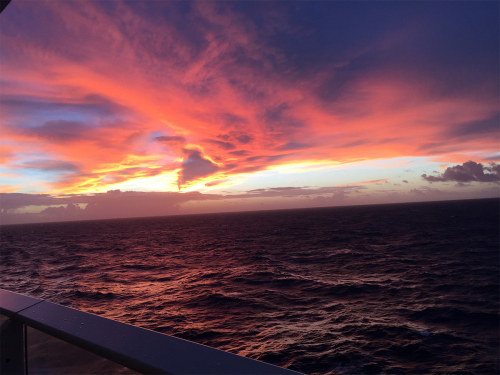 Mike Dinsmore shared this photo of a beautiful sunset, while aboard Radiance of the Seas. There are never enough sunset photos. 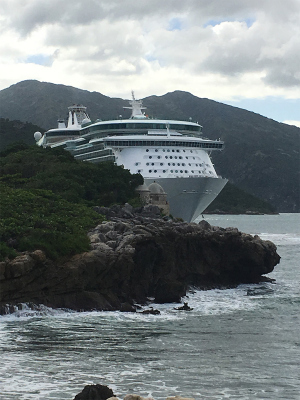 It is back to Labadee for this photo of Freedom of the Seas. Looks like a picturesque kind of day! Anthem of the Seas and Brilliance of the Seas are in this shot, taken in Cozumel. Notice North Star rising above Brilliance of the Seas. 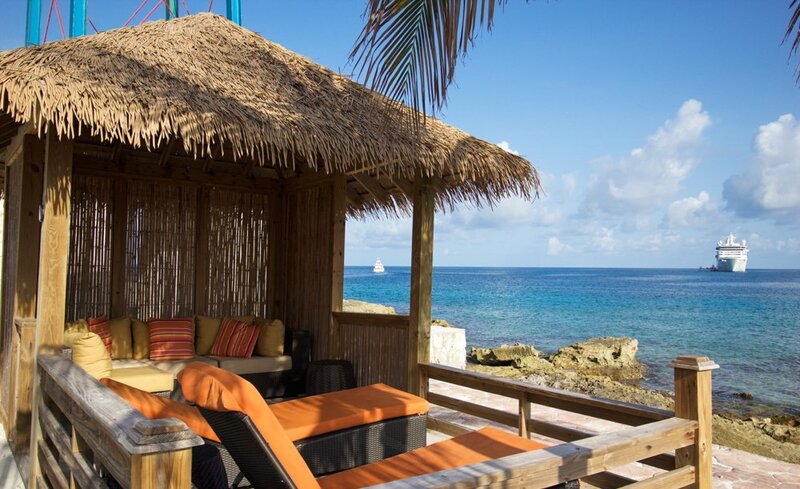 Michael Poole shared this photo of his first cabana in CocoCay. Definitely a great way to spend the day while in paradise. 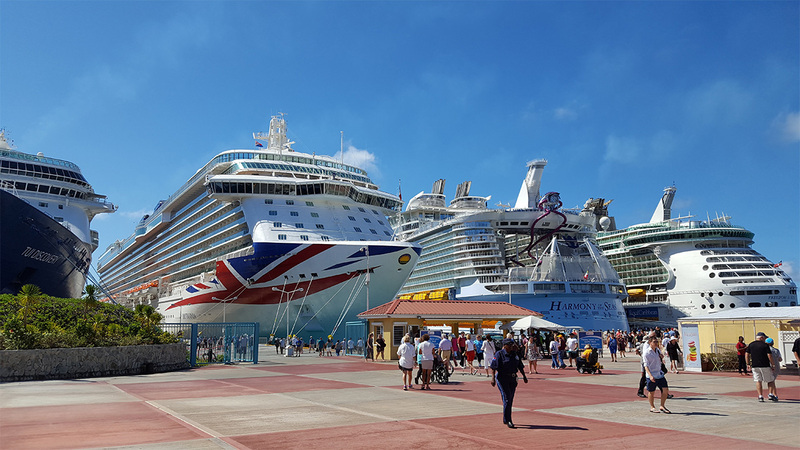 We wrap things up with a photo of the world's largest cruise ship, which shows in great contrast the difference in size of Harmony of the Seas and the cars parked nearby. Quite a contrast! Thank you to everyone who sent in their photos this week! As always, we welcome your photo submissions. Use this form to send in your favorite Royal Caribbean photos so that we can use it in an upcoming edition. Have a great weekend! 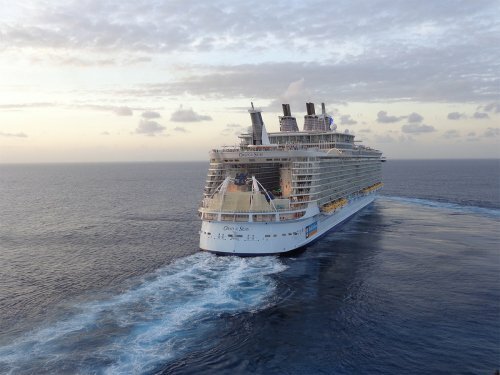 Happy Friday and welcome to our weekly showcase of our readers' favorite Royal Caribbean photos. 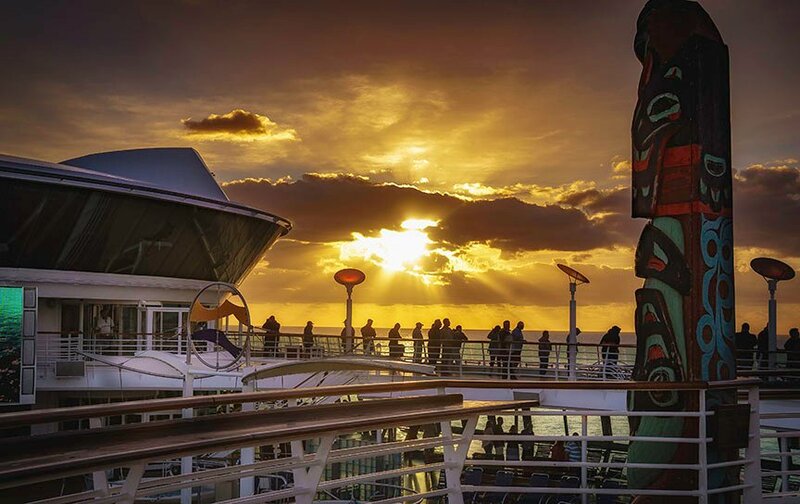 Each week, we invite our readers to send in their favorite Royal Caribbean photos so that we may show it off to the world. Let us jump into this week's batch! 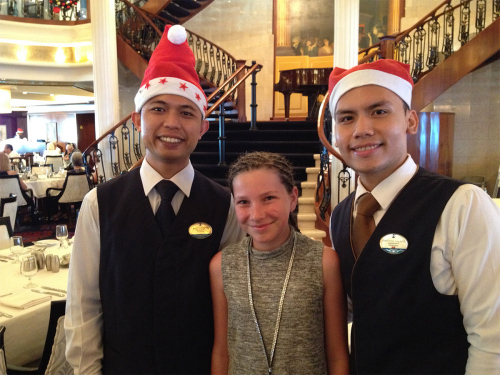 Our first photo this week is of Shawn Crossley's daughter, Emily, posing with their main dining room waiters on Voyager of the Seas. 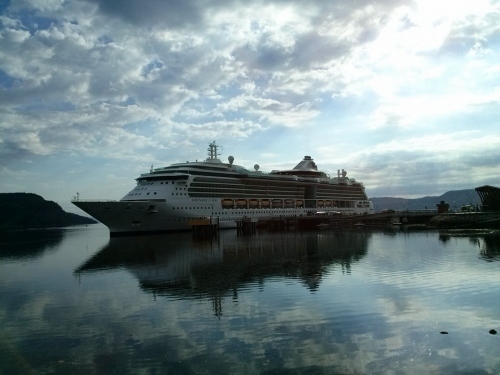 D J Epstein shared this photo of Brilliance of the Seas on the Amalfi Coast in Italy. I love this vantage point! 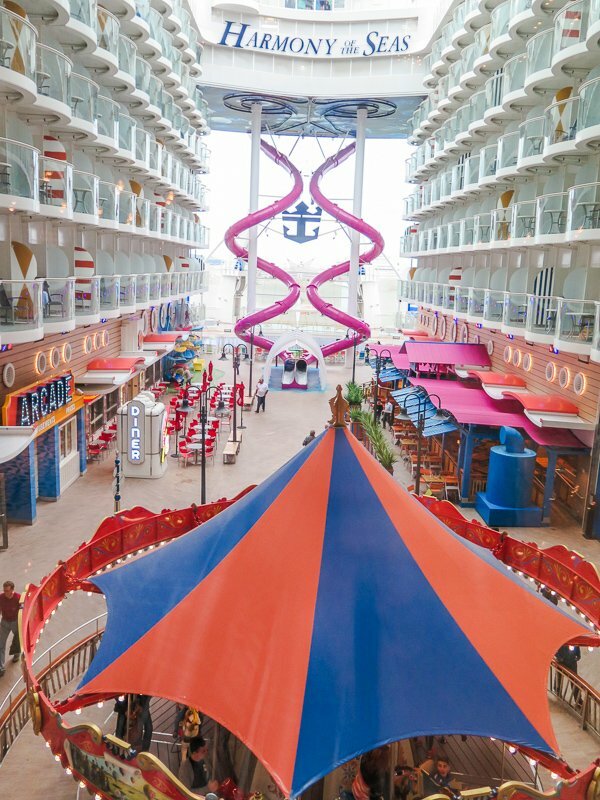 Our next photo is from Vas, and it is of the Boardwalk on Harmony of the Seas. Any photo with Sabor and a slide is good in my opinion! 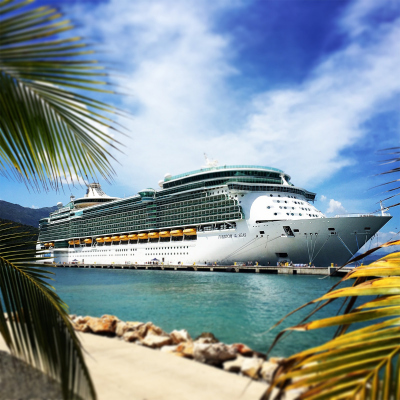 Next is a photo of Navigator of the Seas in Labadee, by Lucas Freshour. 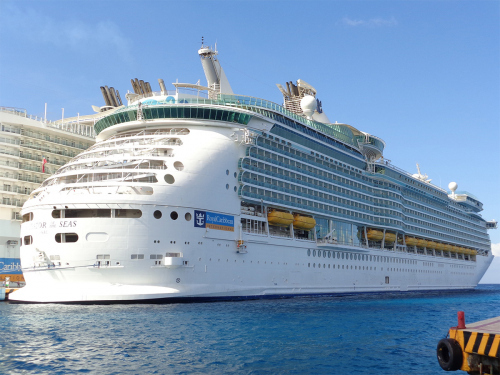 I am so ready to re-create this photo when I return there as part of the Royal Caribbean Blog Group Cruise! Tews sent us this photo of "Paulchen" enjoying a day aboard Vision of the Seas. I have never been more jealous of a stuffed animal, than I am right now. 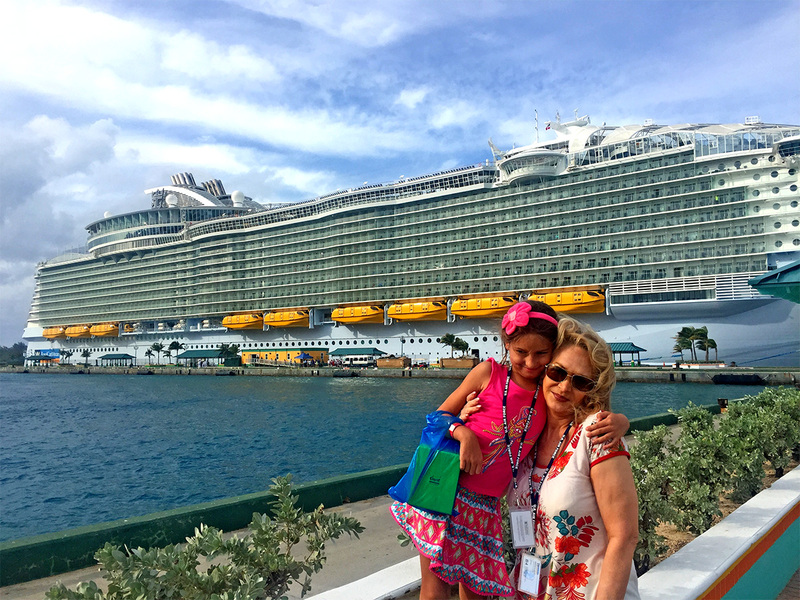 Stephanie Morgan sent in this photo of her and her daughter on the 3-night inaugural US sailing of Harmony of the Seas. 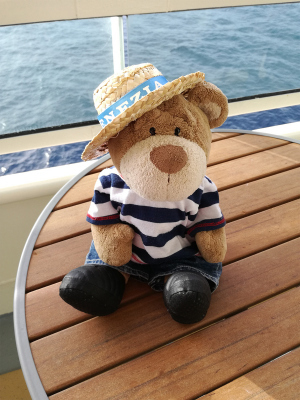 I was actually onboard this sailing too, although I was probably somewhere onboard eating somewhere while they explored Nassau. Thank you to everyone who sent in photos this week. 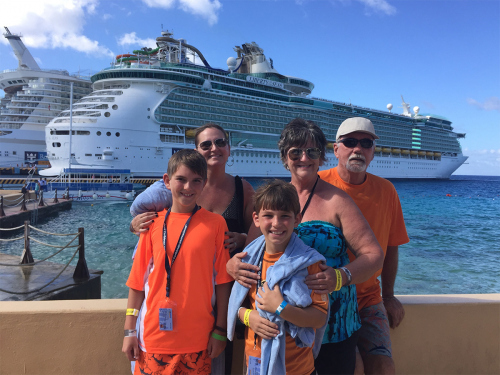 If you would like your Royal Caribbean photo included in a future Friday Photos post, be sure to send them to us with this form. Have a great weekend! 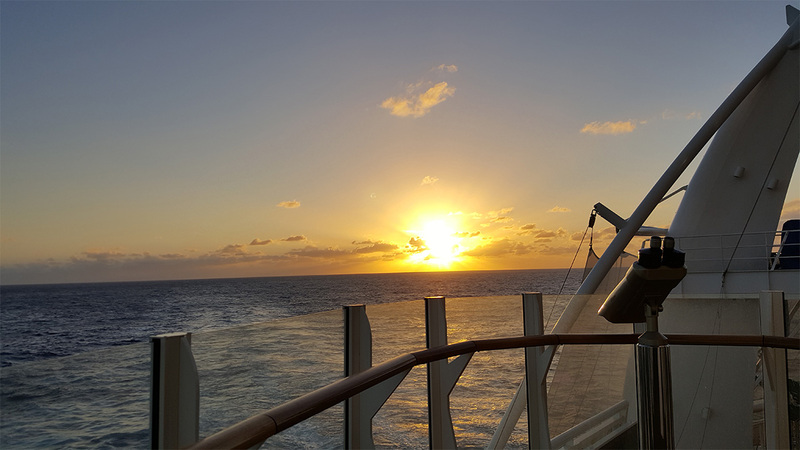 We have reached Friday, and that means it is time to sit back, and enjoy a batch of lovely Royal Caribbean photos that our readers sent in. 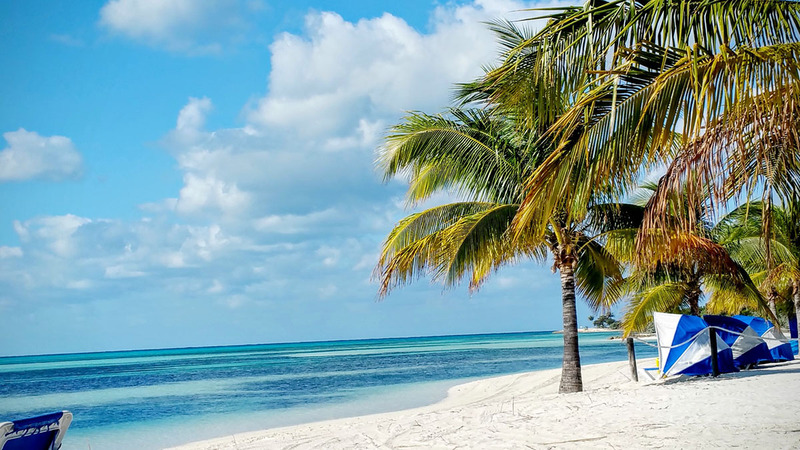 Essentially, this is our weekly Royal Caribbean binging on photos that provide a "virtual escape" back to a cruise ship. 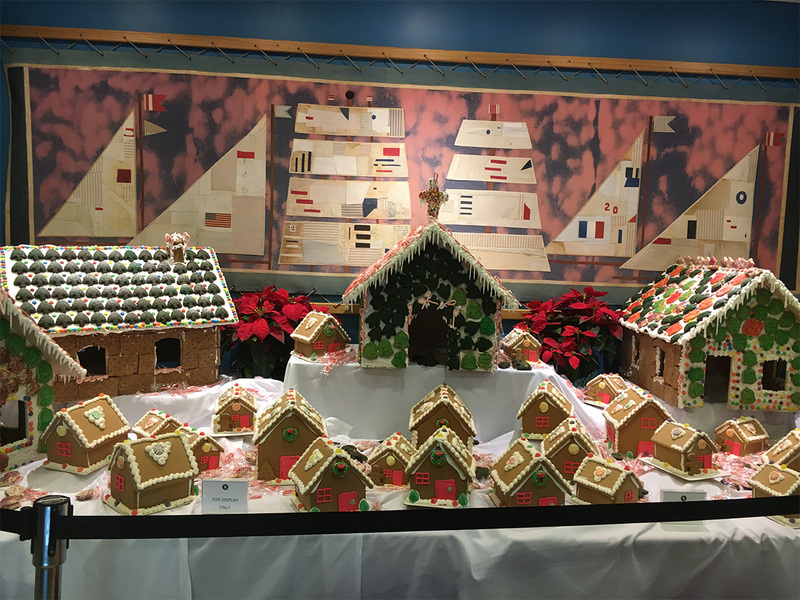 We begin this week's photos with this one by Chris Reardon of a gingerbread village display outside the Windjammer on Allure of the Seas. 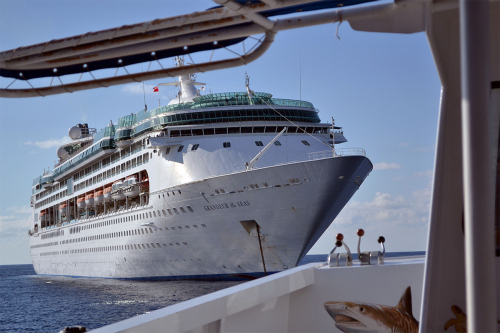 D J Epstein took this photo of Grandeur of the Seas, as seen from the tender he rode in Grand Cayman. 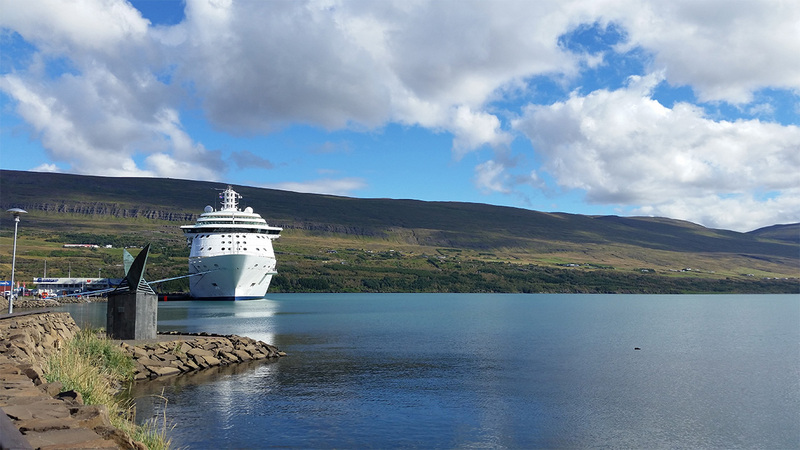 Check out this photo by Allen Shaffer of Serenade of the Seas waiting for passengers to return in Akureyri, Iceland. Eric Hoefman has a gingerbread village photo of his own, with this one from Anthem of the Seas. That is a lot of gingerbread! 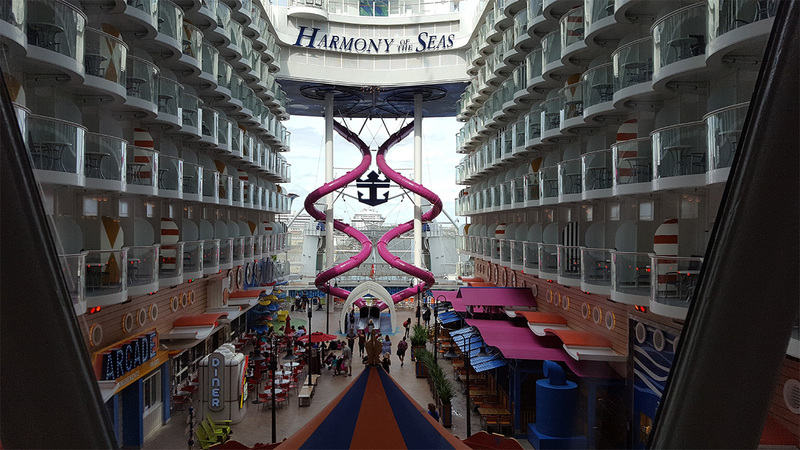 Next is a photo of the Boardwalk on Harmony of the Seas. Ken took this photo, and it looks like another busy day of fun in a very popular neighborhood. Here is Navigator of the Seas in Cozumel, as seen by Scott Shaffer. One of my favorite ships in one of my favorite ports! We wrap up this week's Friday Photos with this sunset photo by Greg Moore while onboard Voyager of the Seas. 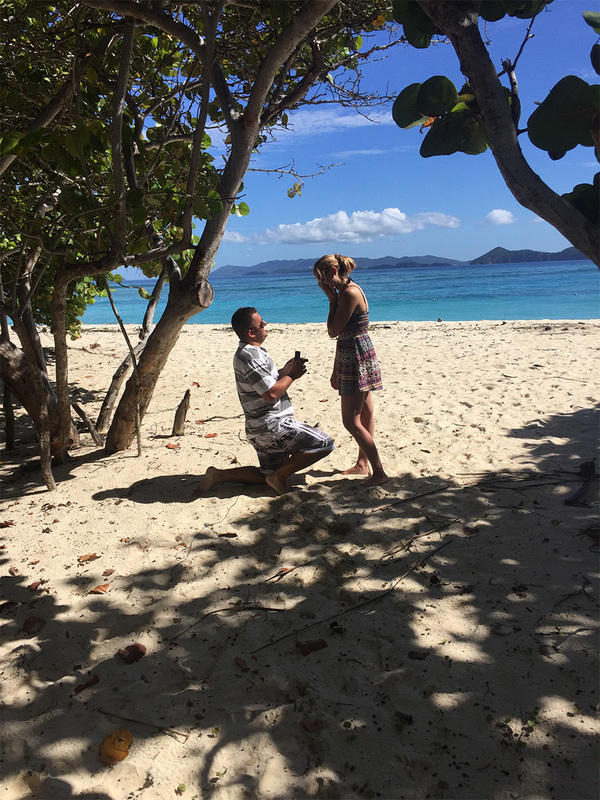 It was taken near Fiji, while Greg was celebrating his 20th wedding anniversary. Perfect! 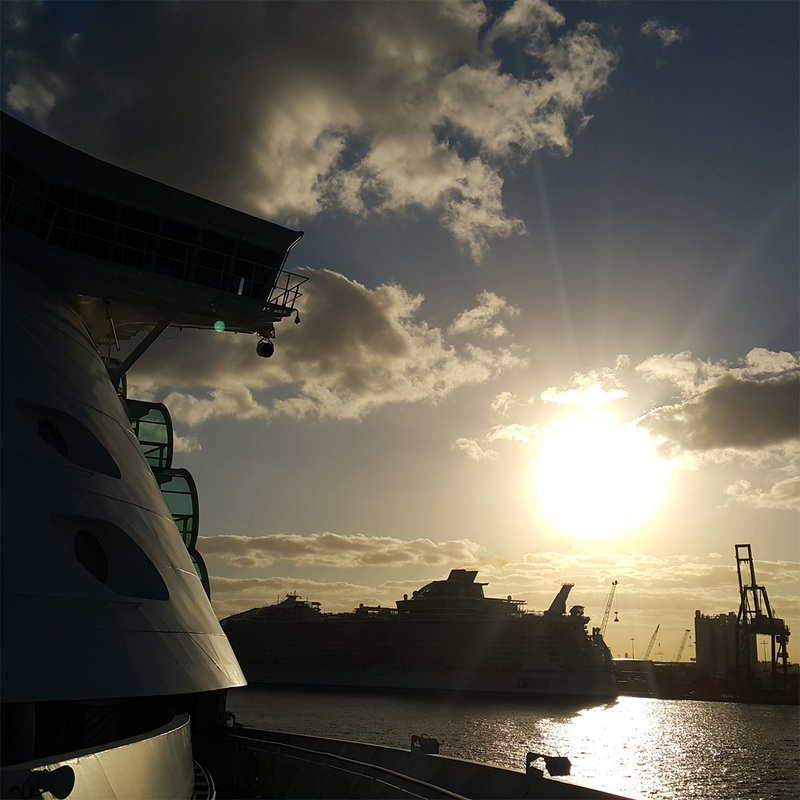 Thank you to everyone who shared photos with us this week, and if you want to have your photos showcased, be sure to send us your best Royal Caribbean photos to be used in an upcoming Friday Photos post. Have a great weekend! 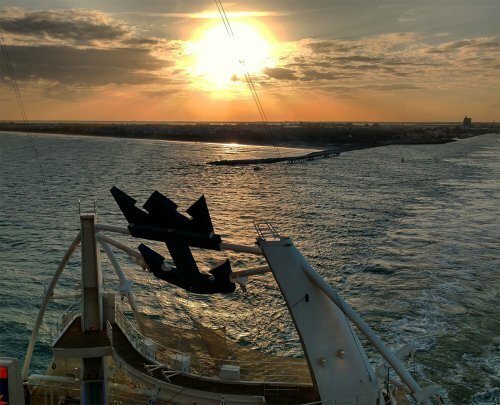 Happy Friday, and welcome to another edition of Friday Photos, where we share with you some wonderful Royal Caribbean photos that our readers sent in. As always, you can share your photos with us to be posted on an upcoming Friday Photos post. 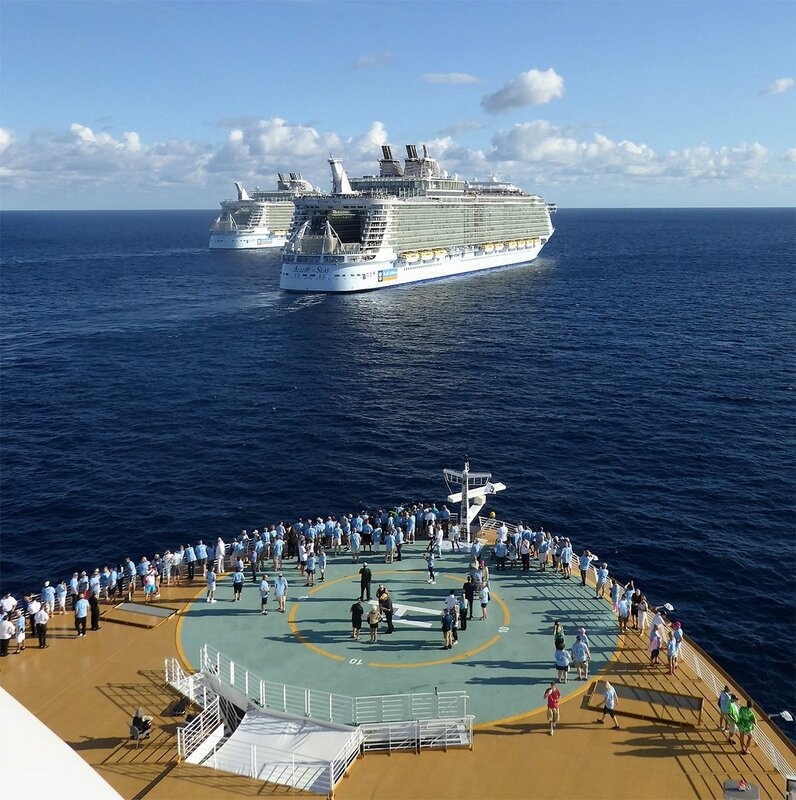 Our first photo this week is from Jorge Toache of a peaceful day on Independence of the Seas. Yup, just another day in paradise. Ashlie shared this photo of her family heading back to Liberty of the Seas after a fun day in Cozumel. Next is a photo by Nick from onboard Anthem of the Seas, where he was able to meet the ship's Captain. Meeting the Captain of any Royal Caribbean ship is always such a treat! 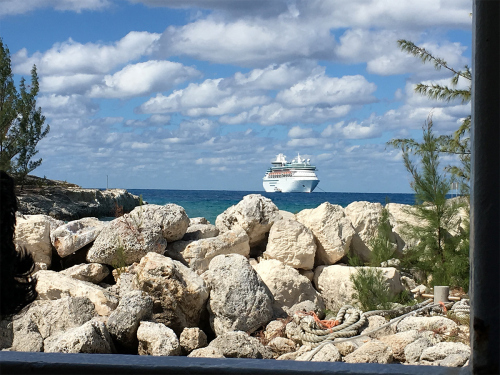 Speaking of Anthem of the Seas, here she is again, as seen from Coco Cay. Ken "CookingYo" Licwinko shared this beautiful photo of Anthem between two palm trees. 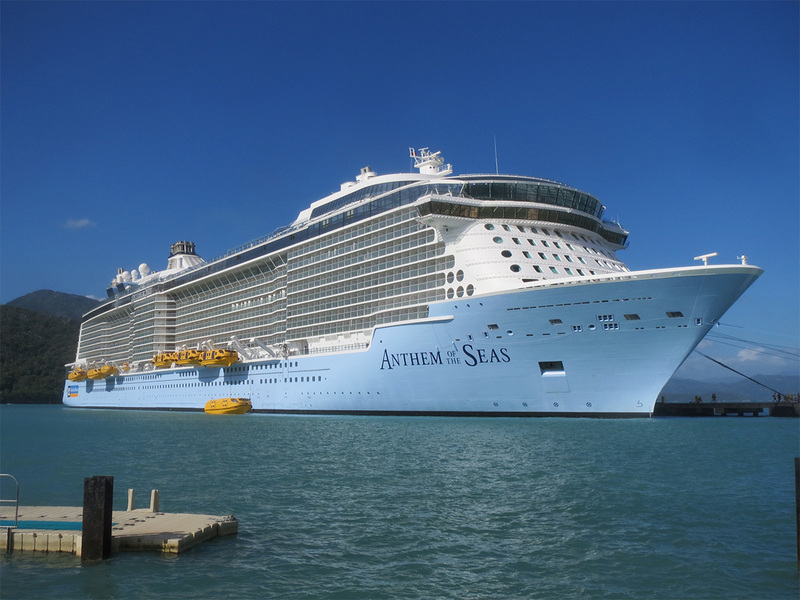 If you wanted to see even more photos of Anthem of the Seas, your wish has been granted. 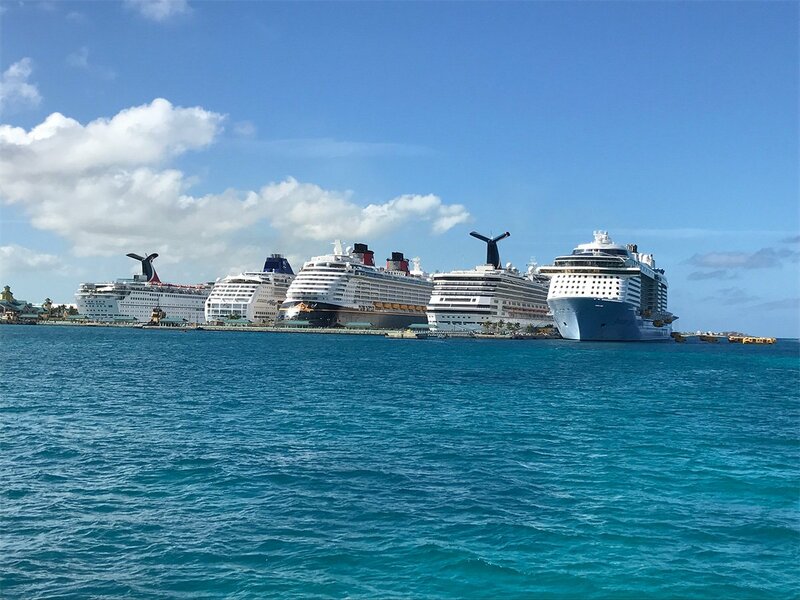 Eric Hoefman took this photo of Anthem in Nassau, Bahamas along with many other cruise ships. 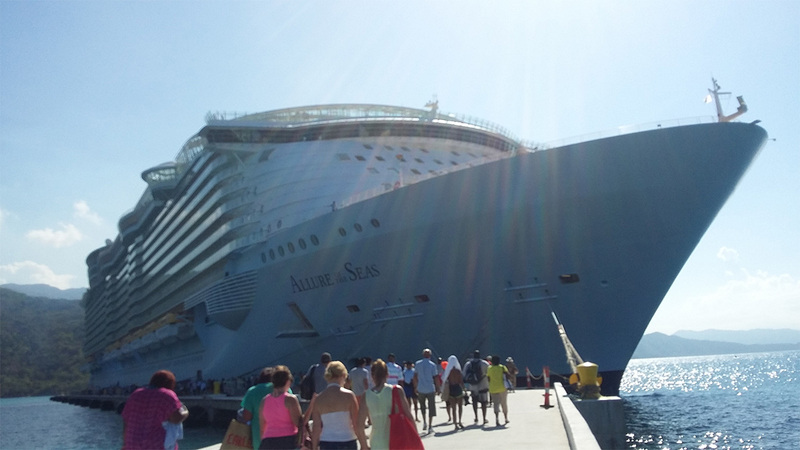 Staying with Nassau, here is Navigator of the Seas and Allure of the Seas docked in Nassau. I love when you get to walk down a "ship canyon" like this! Our final photo this week is from Frank Battiston of a stunning sky in Fort Lauderdale. 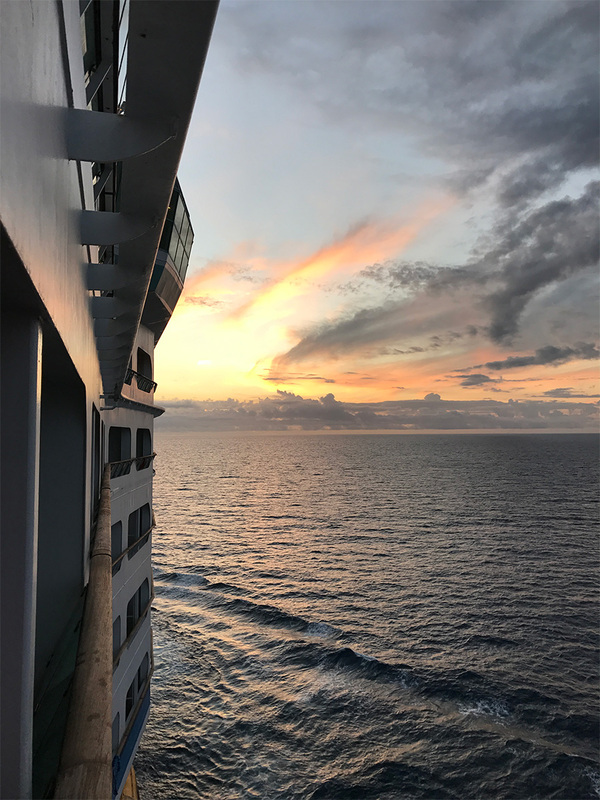 Frank took this photo from onboard Freedom of the Seas in Port Everglades, and it looks like a great start to an even better cruise! That wraps up this week's edition of Friday Photos. Thank you to everyone who contributed photos this week, and if you want to share your photos, use this form to send them in! The new year is here, and with it comes our first Friday Photos of 2017! Each week, we invite our readers to share with us their favorite Royal Caribbean photos so that we can showcase them right here. 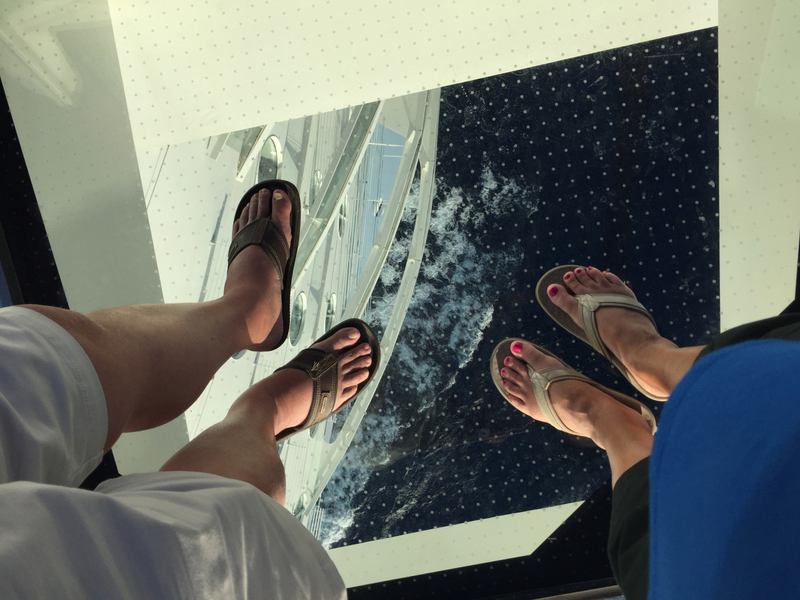 Our first photo this week is from Susan Widdowson, and it is from the bridge wing on Harmony of the Seas. Definitely a great spot for photos! Next we have a photo of Harmony of the Seas and Freedom of the Seas in St. Maarten, taken by Ken. 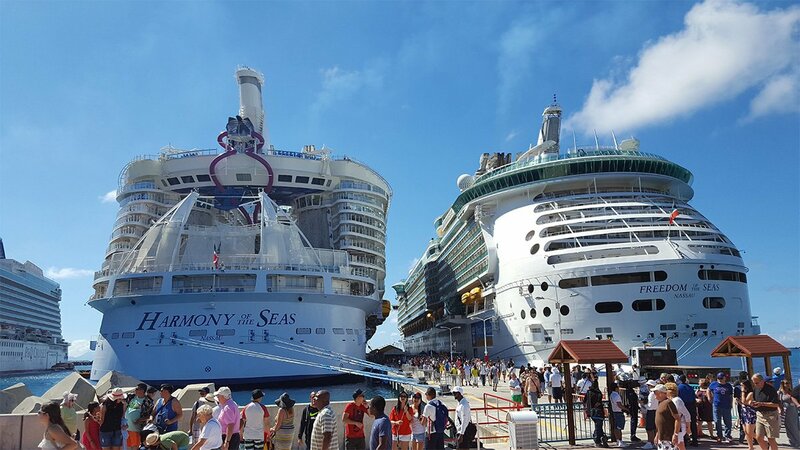 Two giants in one port! Here is a photo by Ethel Crawford of Adventure of the Seas in Barbados. Ethel took this shot while onboard Jewel of the Seas. Our next photo is of Anthem of the Seas and Brilliance of the Seas in Cozumel. Thomas Lemmer shared this photo, and you can see North Star is in the raised position too! Check out this amazing shot by Bob Carpetner from onboard Harmony of the Seas, when all three Oasis class ships met in one spot. We go from the largest ship in the world to one of the smallest in Royal Caribbean's fleet. 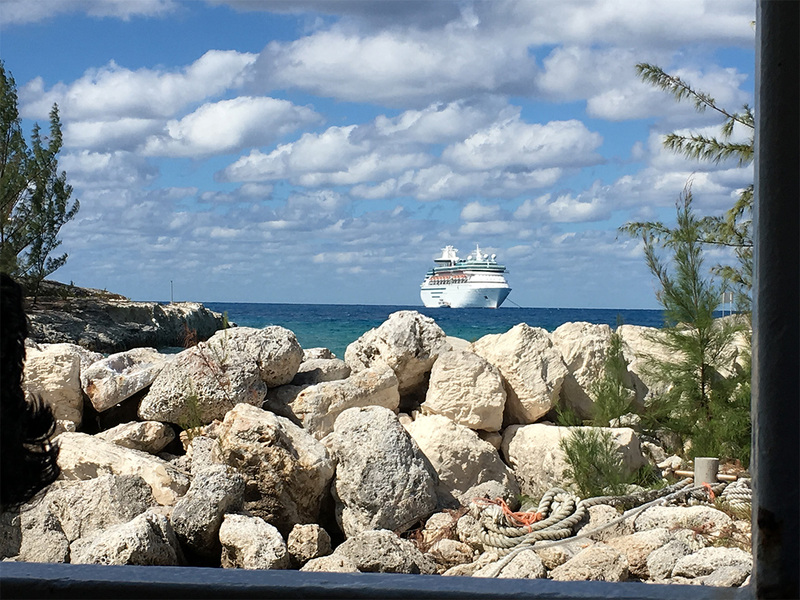 Here is Majesty of the Seas, as seen from CocoCay. John Kreidermacher shared it with us and it is a great perspective! Navigator of the Seas is playing "peek-a-boo" in this photo by Jose Pena, taken while in Labadee. That wraps up this week's edition of Friday Photos. 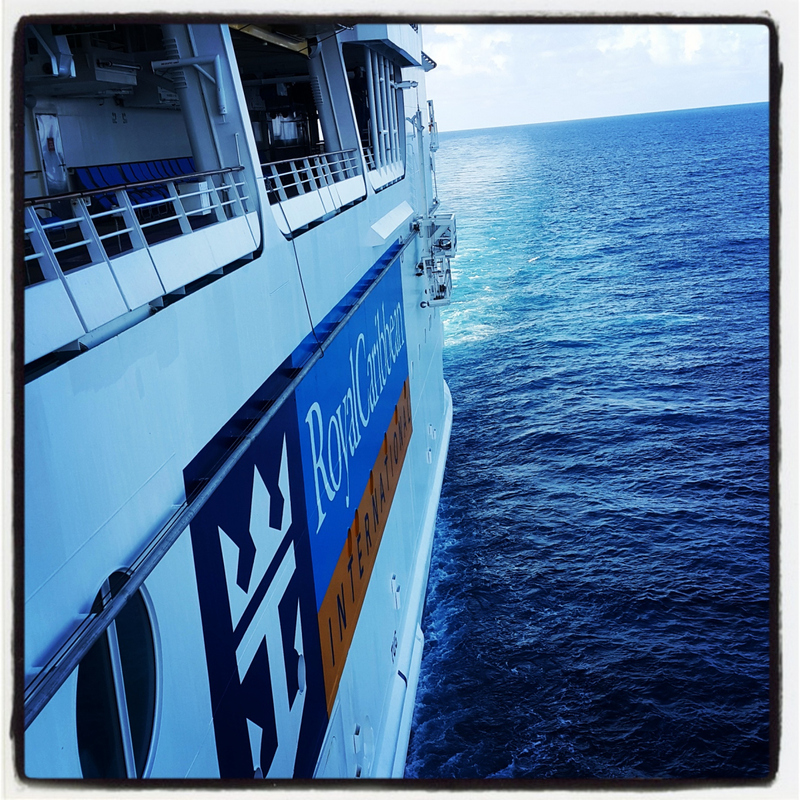 If you would like to share your best Royal Caribbean photos with us, use this form to send them in! Happy Friday! This is the last Friday of 2016, and for this edition of Friday Photos, we decided to go back through all of this year's Friday Photos posts and find our favorite photos to share once again. 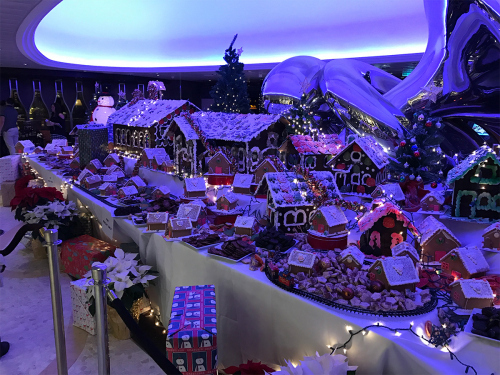 Thank you to everyone that sent in their photos this year, and if you have Royal Caribbean photos that you want to share, well, we want to see them! You can use this form to send us your photos and we will feature them on an upcoming Friday Photos blog post! Our first photo is from Michael Bonham, and it is of sail away from Cozumel on Allure of the Seas. You can still see Liberty of the Seas docked in the background. 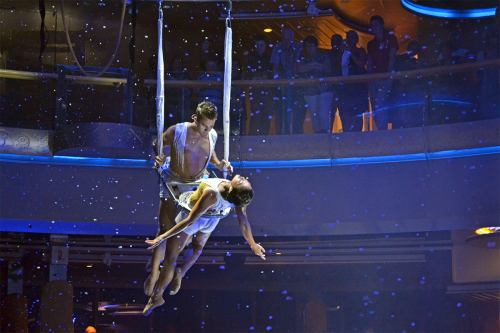 This is a great photo by D J Epstein of the aerial show on Grandeur of the Seas! Check out the colors in this sunrise photo by Susan Widdowson! It was taken on Harmony of the Seas during the transatlantic crossing. 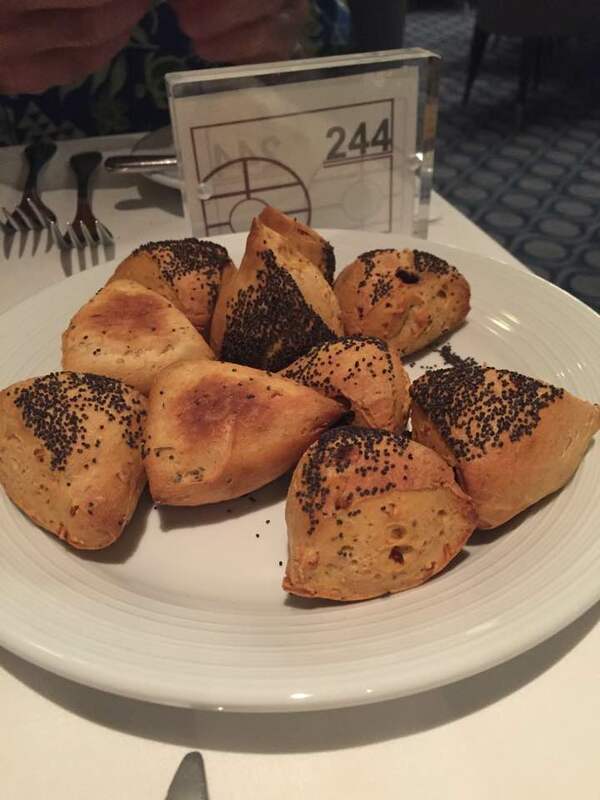 Dana Hall sent in this photo of savory bites while on Oasis of the Seas. She noted that they had no savory bites on one night of the cruise, but the next day, the waiter brought over a whole plate full! 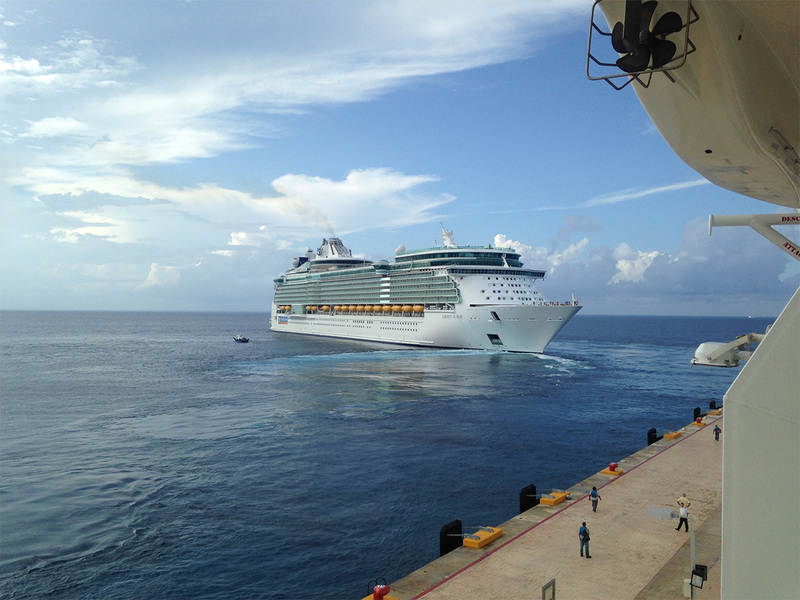 Next is a great photo of Liberty of the Seas backing out of Cozumel, taken by Megan Mathews. 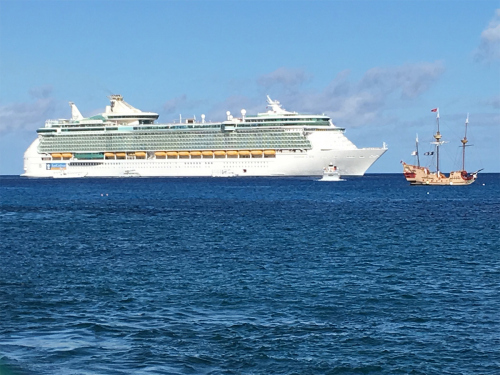 Angela Wright shared this photo of Freedom of the Seas, which was taken from her snorkeling excursion in Grand Cayman. 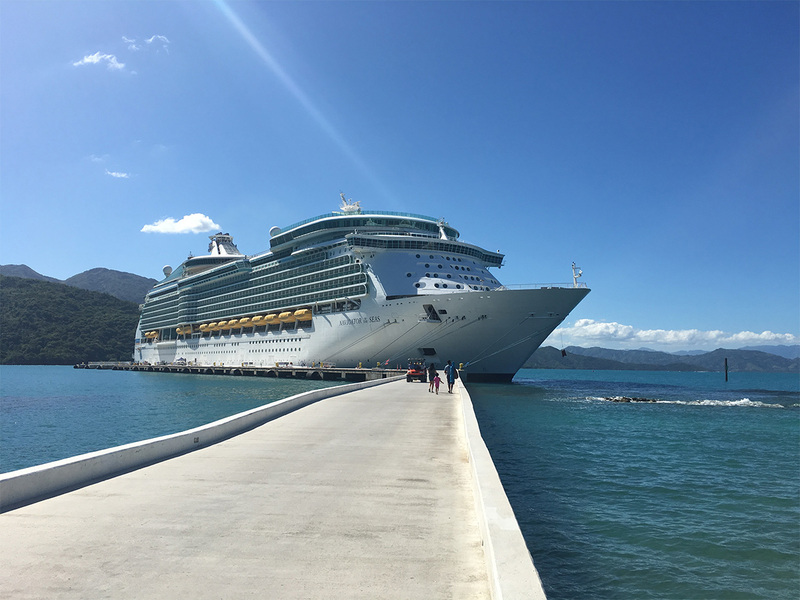 We round out this week's edition with a photo of Anthem of the Seas in Labadee, taken by Thomas Lemmer. Thank you to everyone that sent in their photos this week and if you have Royal Caribbean photos, well, we want to see them! You can use this form to send us your photos and we will feature them on an upcoming Friday Photos blog post! 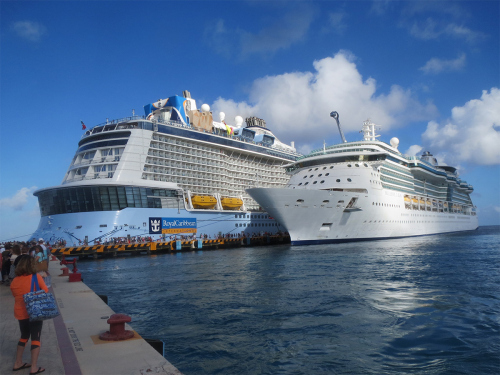 We begin with a photo by Michael Bonham of Allure of the Seas docked next to Liberty of the Seas in Cozumel. It is always fun when two giant ships meet like this. Here is a photo of the Amalfi Coast of Italy, by D J Ep. I do not believe European ports get enough credit for being as photogenic as they are. 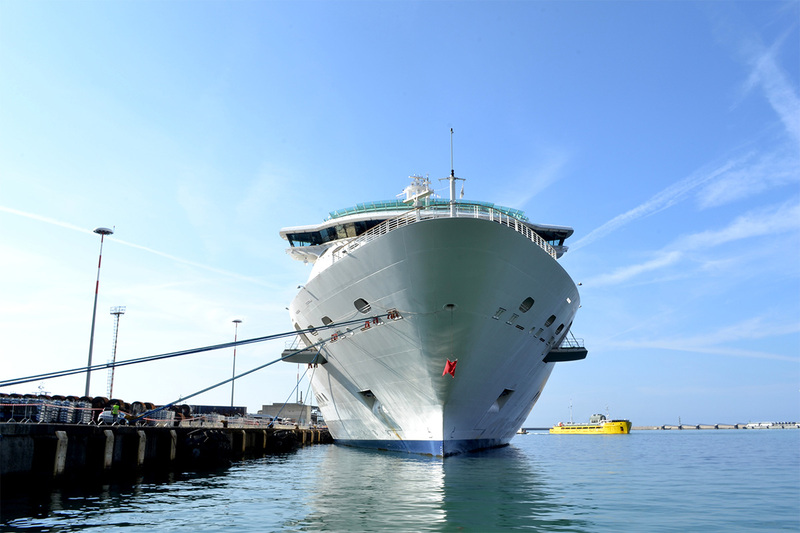 Next is Independence of the Seas leaving Southampton by David Donnelly. Also included in this photo is a gratuitous amount of lens flare, which will make JJ Abrams smile somewhere. Here is a night photo of Navigator of the Seas as she is about to depart Lisbon, Portugal by 2boomerstravel. I will never tire of how Royal Caribbean ships look at night when all the lights are turned on. 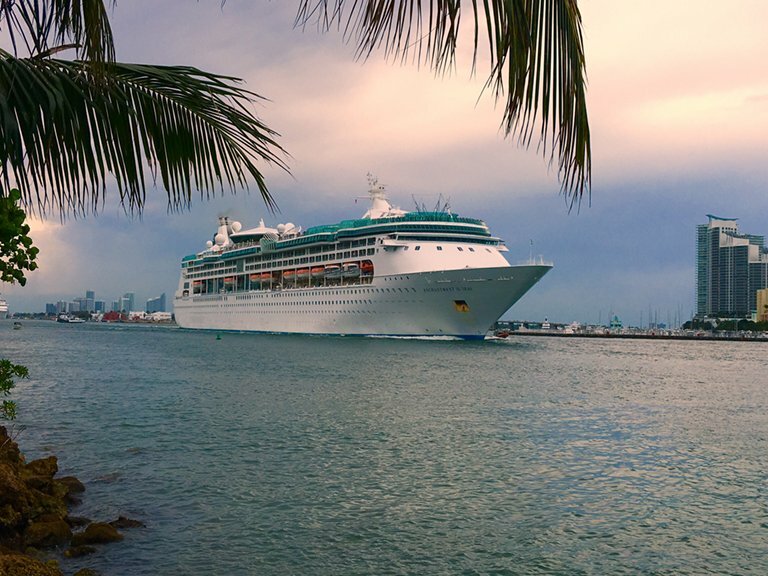 We have another night photo, this one of Freedom of the Seas in San Juan, Puerto Rico, by Alice Hoey. 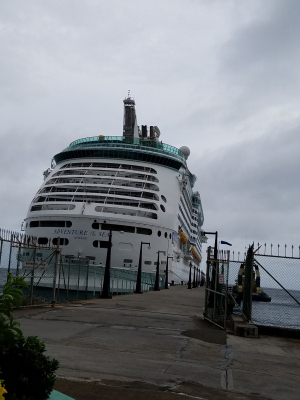 Freedom of the Seas stopped here because of Hurricane Matthew, and I relish any opportunity to visit Old San Juan. 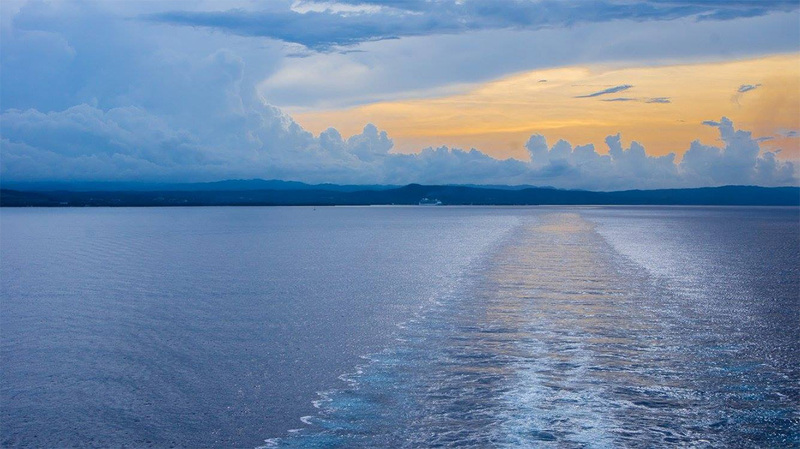 Jose San Martin shared this photo of enjoying a moment of peace aboard Navigator of the Seas. Jose noted, "Voyage after voyage, it never gets old." Well said! Our last photo this week is by Mark Greenwald and it is of him and his favorite bartender on Grandeur of the Seas, Alex. 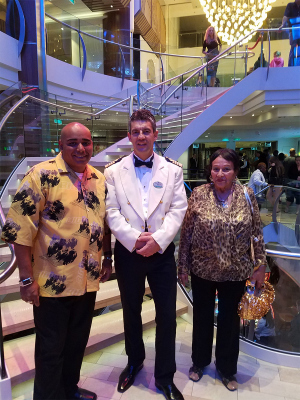 Mark met Alex on Navigator of the Seas in 2009 and ran into each other again on Grandeur and instantly remembered each other. 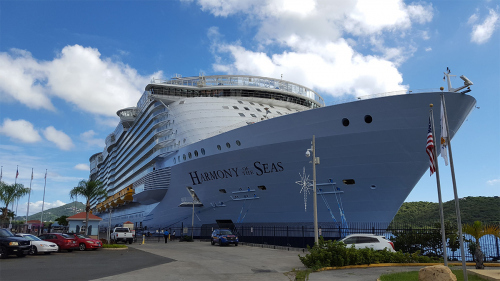 Our first photo this week is from Tracy and it is of Independence of the Seas and Harmony of the Seas in Port Everglades. 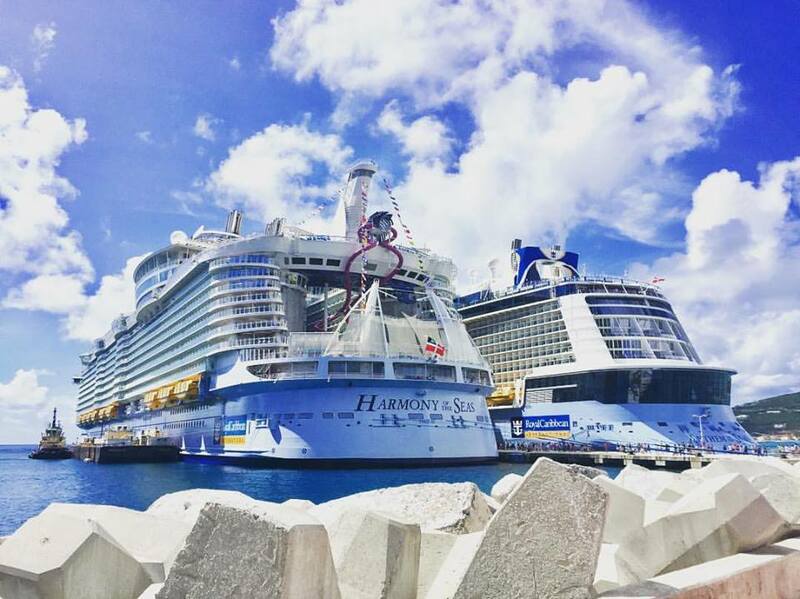 Great shot of two lovely ships. Ken shared this photo of a busy in St. Maarten, complete with two Royal Caribbean ships in port Great assortment of cruise ships in one place! We have yet another photo of Harmony of the Seas, this one from Michael Poole while Harmony was docked in Nassau. Considering I was on the ship when this photo was taken, it holds a special place in my heart. 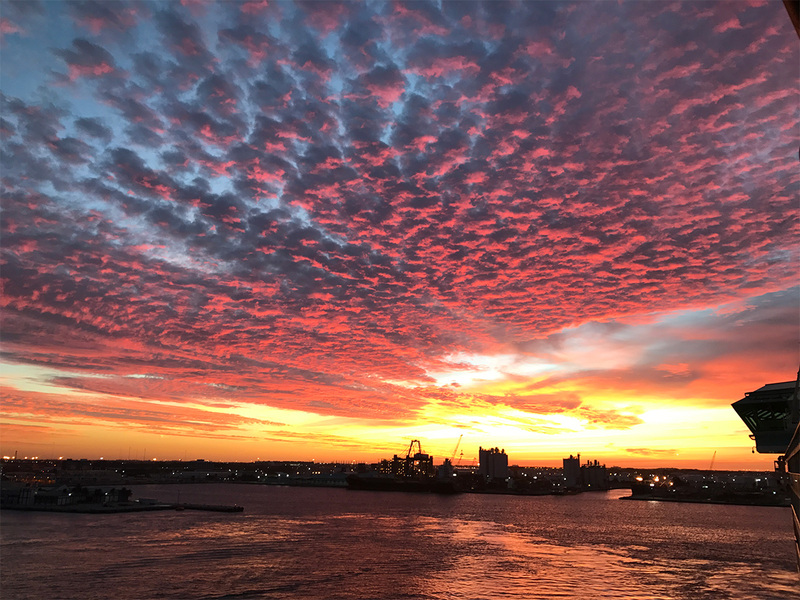 Check out this photo from Beci Mahnken of a beautiful sunset, as seen from Oasis of the Seas as she sailed away from Port Canaveral. Beautiful! 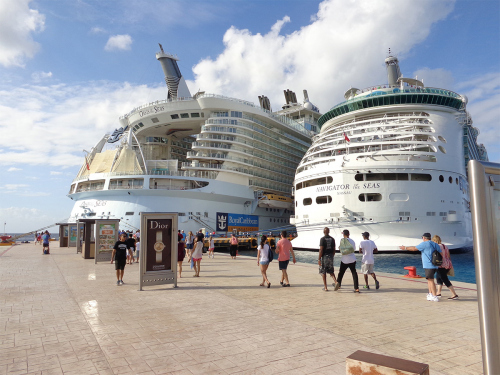 Speaking of Oasis of the Seas, here is a photo of Oasis and Navigator of the Seas in Cozumel. Scott Shaffer took this photo, and I can almost smell the amazing Mexican food eminating from nearby! 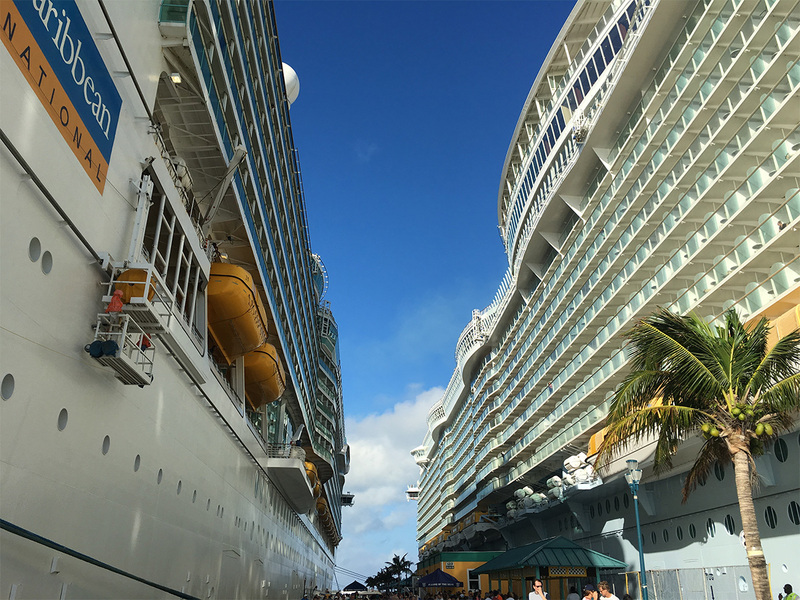 Jose Pena shared this photo of Navigator of the Seas and Anthem of the Seas docked side by side in San Juan. I love how easy it is to spot the cruise ships from many areas of Old San Juan. Lastly, we have this photo of Adventure of the Seas in St. Kitts, taken by Bharat. 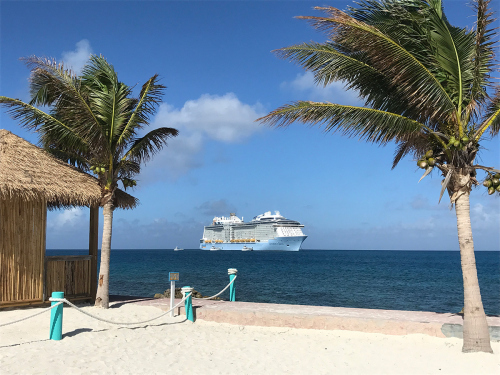 Friday is here and that means so is the weekend and our opportunity to share Royal Caribbean photos that readers sent us! Every week, we ask our readers to send in their favorite Royal Caribbean photos, so that we can feature them here. Enjoy this week's photo set! Our first photo this week is from Scott Shaffer of Oasis of the Seas sailing away from Cozumel. 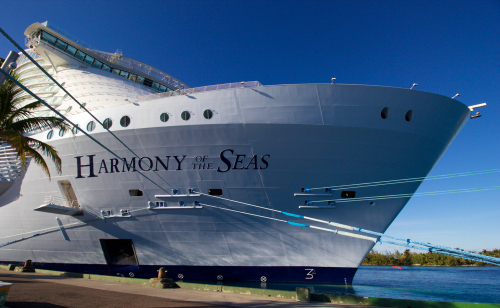 What a beautiful ship! 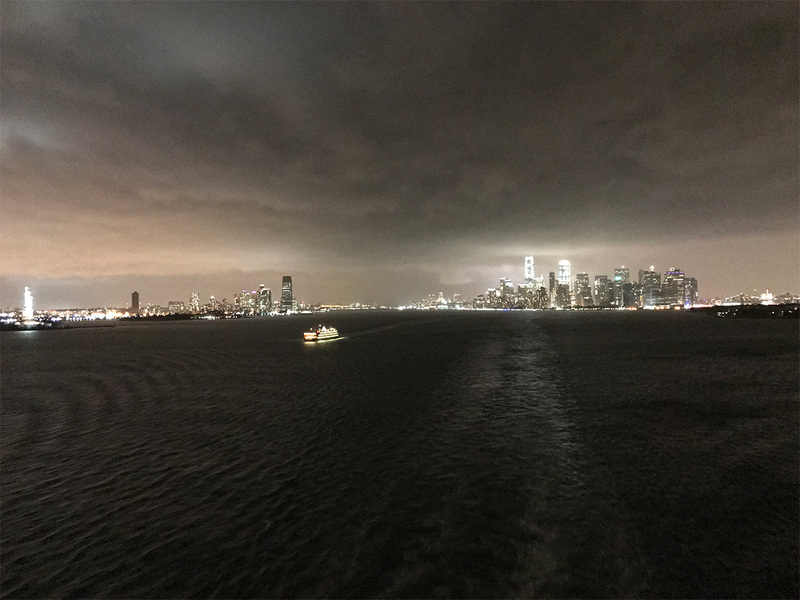 Speaking of sailaway, here is a shot of New York City from Thomas while he was onboard Navigator of the Seas. There is nothing like the Big Apple at night! 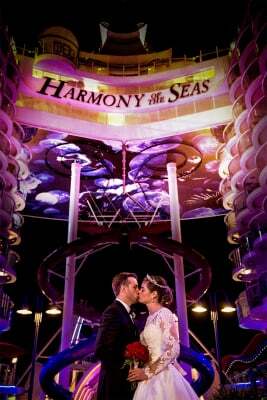 Congratulations to Alex and Curtis, who got married recently on Harmony of the Seas. Nadege Barnes shared this wonderful photo from their special day onboard. 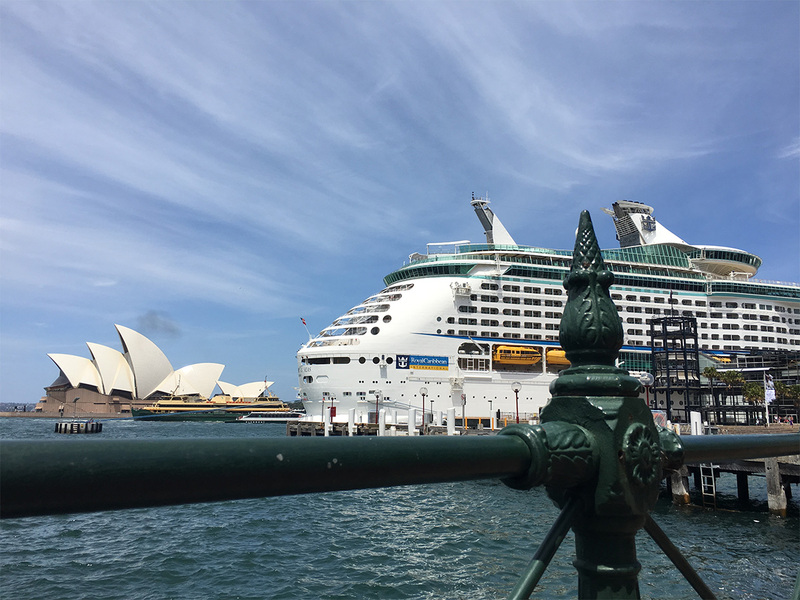 Adrian Tassone sent in this photo of Explorer of the Seas docked in Circular Quay, Sydney. 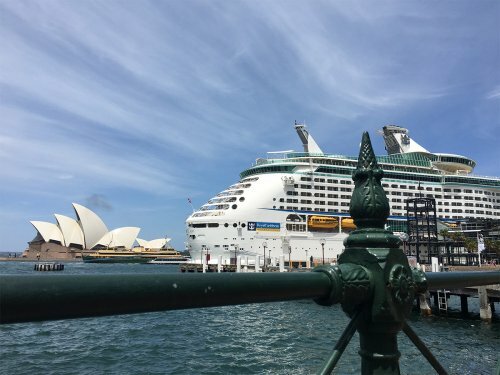 A beautiful ship in a beautiful city. I never get sick of sunrise or sunset photos, and here is one by Khadijah that was taken on Harmony of the Seas during her transatlantic crossing. Simply stunning. 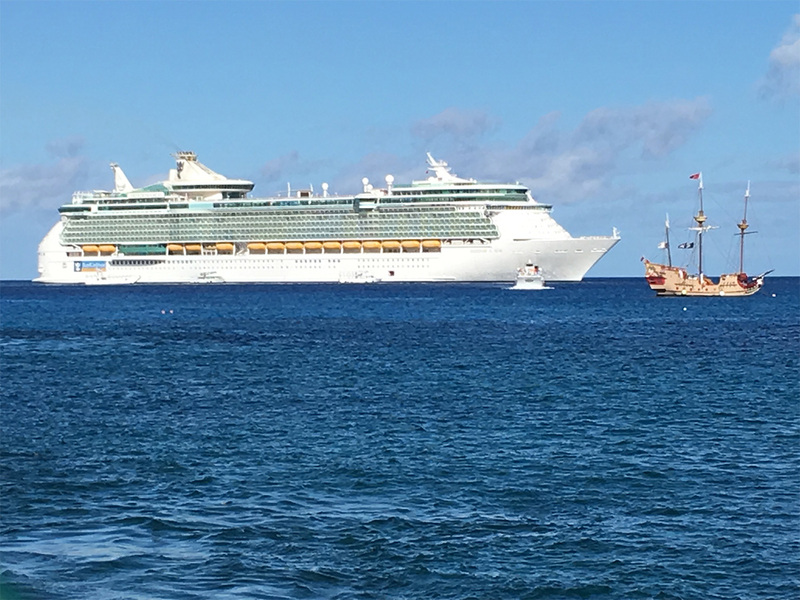 Speaking of Harmony of the Seas, here is another photo of Royal Caribbean's newest cruise ship when she met Anthem of the Seas in St. Maarten, taken by Daniel. 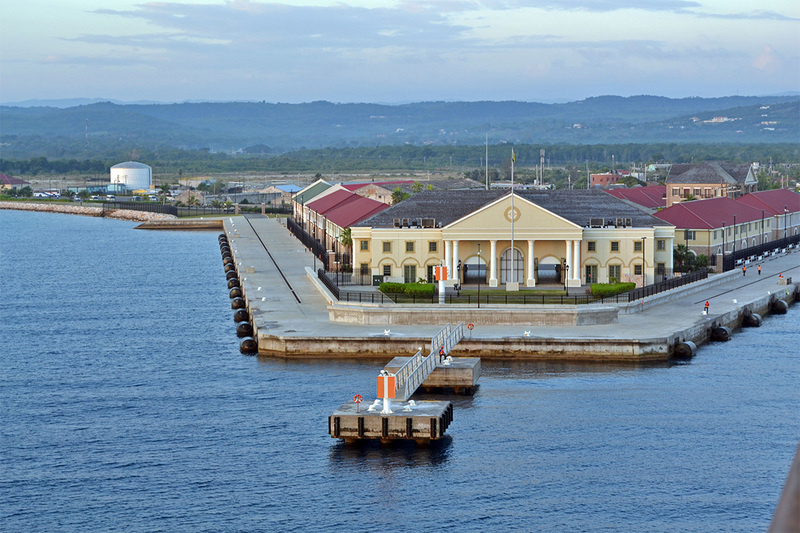 Our last photo this week is from D J Epstein of Falmouth, Jamaica. 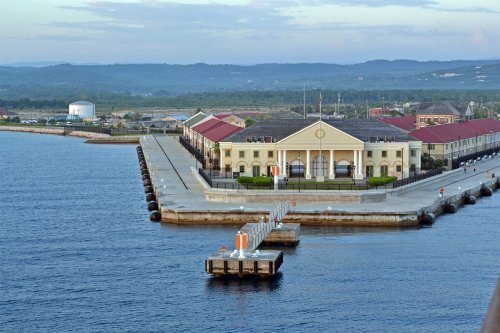 I can still remember when the Falmouth port was being built, so it is still impressive to see what it has become in just a few short years. Thank you to everyone that shared these great photos. 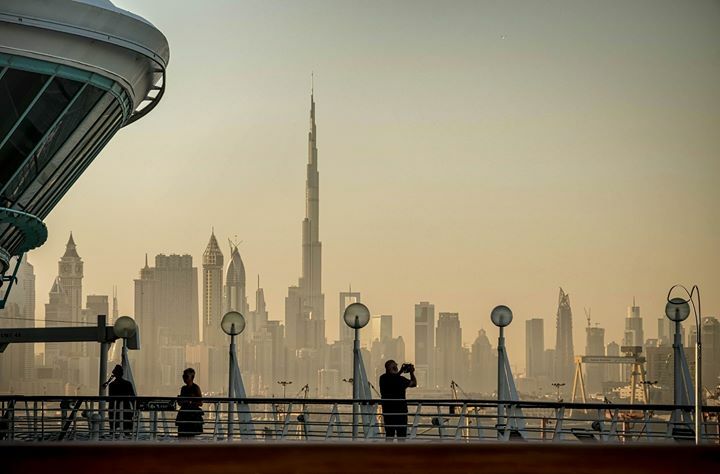 Do you want your photo included in our weekly photo showcase? Use this form to send us your favorite Royal Caribbean photos and we will be sure to show it off to the world!